When an older adult with Alzheimer’s or dementia gets settled into an assisted living or memory care community, the last thing you want to do is put them through another move. But what if they’re not getting proper care? When an older adult doesn’t get the care they need, families typically talk with staff and meet with administrators to discuss concerns and fix problems. Things usually improve after that. But sometimes, nothing changes – even after many meetings. At that point, families wonder what they should do. Is it a good idea to move someone with Alzheimer’s who has become comfortable in their new home? Or is it better to take the risks that come with less-than-good care and avoid the disruption of a move? We share 3 tips on how to make that tough decision, 3 ways find a better assisted living community, and 5 ways to minimize the disruption if a move is necessary. Should you move someone with Alzheimer’s? When making the decision to move someone with dementia, it’s important to weigh the risks of staying in the current community against the disruption of a move. We’ve got 3 tips to help you decide. First, make sure you’ve exhausted all the possible options for solving the current problems. If meeting with administrators and staff isn’t getting you anywhere, contact the local ombudsman. Ombudsmen are advocates for residents of nursing homes, residential care homes, and assisted living communities. They may be able to speak to the administrator or offer advice to improve the situation. 2. How severe are the issues? Think about the severity of the problems and think about the consequences if they’re not fixed. Are they major health and safety problems that could cause a fall, significant health problem, or a rapid decline? Or, are they less serious care issues? Having ongoing issues that administrators and staff won’t fix isn’t good, but if the situation isn’t likely to harm your senior’s health, avoiding a move may be more important than an A+ level of care. Before putting your older adult through a move, be as sure as possible that the next assisted living community will be better than the current one. Here are 3 tips for finding an assisted living community that’s a better fit for your older adult and their care needs. Having a good checklist helps you evaluate and compare important features from the communities you visit. We recommend this one. Looking for another assisted living community can be overwhelming. Consider hiring a senior housing expert or a geriatric care manager to guide you through the process. Senior housing specialists are like real estate agents who specialize in senior living. They know the local market, the reputation of the various communities, and help find the right place based on budget and care needs. Like real estate agents, they don’t charge you for their services. Geriatric care managers are specialists who help improve your senior’s quality of life and reduce family stress. They also know the local senior housing communities and can advise you on the best place for your older adult. However, they do charge for their services. When visiting an assisted living community, talk with staff, residents, and other family members. They’ll be able to give you the scoop on what it’s really like there. Older adults with Alzheimer’s or dementia may become disoriented by a move. If the move is necessary for their long term health and well-being, use these 5 suggestions to minimize the disruption. Activities like packing and planning the move can be just as stressful and confusing as the move itself. One way to minimize disruption is to not let your older adult know that they’re going to move and to keep any move-related activities hidden from them. Doing the packing and actual moving in secret will take extra planning and coordination, but may be well worth the effort. On the day of the move, have one person supervise the actual move. Another person takes your older adult on a special outing. When returning from the outing, go directly to the new place as if your older adult has lived there all along. You can decide how much of the move you’ll explain or discuss depending on your older adult’s.cognitive ability. When setting up your older adult’s new living space, make everything as similar as possible to their previous place. This includes the room’s layout, furnishings, bedspread, linens, etc. Talk with the staff and tell them about your your older adult’s daily routine and preferred activities. Ask if it’s possible to stay on the schedule they’re used to and to do the activities they’re used to. After the move, it’s usually helpful to be there as much as possible to provide comfort and a familiar face. However, some older adults actually do better when left alone with care staff for the initial transition period. It may be a good idea to use the method that worked well when you transitioned them to the previous community. Whether your older adult knows you’re there or not, it’s a good idea to observe and make sure the care level at the new place meets your expectations. Visit at random, unannounced times and show up during important care activities like meals, incontinence care, or bathing to check on what’s happening. 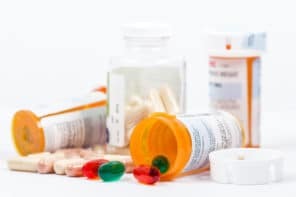 Many doctors will prescribe sedatives to make a move easier on older adults. However, this isn’t necessarily a good approach because these drugs sometimes cause more confusion or agitation. Experienced geriatricians like Dr. Kernisan prefer resorting to a few small doses of antipsychotic medication, rather than using popular sedatives. Dr. Kernisan’s top recommendation is to provide your senior with lots of family support via non-drug techniques like reassurance, comfort, and pleasant distractions. The Alzheimer’s Association is a great resource for specific advice and suggestions on these tricky situations. When you speak with one of their family care specialists or social workers, you can describe your older adult’s mental, physical, and emotional state and get tailored ideas for minimizing the disruption brought on by a move. They could also help you come up with a plan to make the actual move easier too. A member of the Daughterhood community asked for advice with an assisted living situation that many families are dealing with. To answer this question, Anne Tumlinson, founder of Daughterhood, asked us and Dr. Leslie Kernisan, founder of Better Health While Aging, for suggestions. This article includes the response we collaborated on. 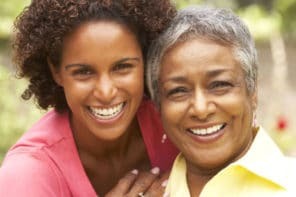 Daughterhood’s mission is to support and build confidence in women who are managing their parents’ care. Founder Anne Tumlinson coaches women and men to insist on excellent care and a meaningful experience for their parents. For the last 23 years, she’s worked to improve how America cares for its frailest, most vulnerable older adults. Anne has testified before federal commissions and Congress as well as consulted with hospitals, nursing homes, assisted living providers, and home care companies. Better Health While Aging is a health and caregiving education website created and curated by Dr. Leslie Kernisan. She’s been practicing geriatrician since 2006 and has a special interest in family caregivers. Dr. Kernisan is board-certified in internal medicine and in geriatrics. She’s a Clinical Instructor in the UCSF Division of Geriatrics and a graduate of Princeton University, Case Western Reserve University School of Medicine, and the UC Berkeley School of Public Health.